The new version of the Markets in Financial Instruments Directive (MiFID II) came into force in the first week of January and has already imposed a number of sweeping changes on asset managers and financial advisers. Industry experts describe these changes as some of the biggest in financial services in a decade. MiFID II touches on many aspects of individual investing, including investment advice, how products are sold and regulated, information and costs. The overarching aim is to “enhance protection” for retail investors, according to EU regulator, the European Securities and Markets Authority (ESMA). In simple terms, this means greater transparency over the way funds are sold and a downward push on costs for retail investors. Under MiFID II asset managers will have to make clear what the charges for research will be. This has already become a controversial issue in the investment industry, with many pension funds and institutional investor putting pressure on asset managers to absorb these research costs rather than pass them on to customers. Fidelity International, after initially saying it would pass on research costs, has recently changed its view, and will now absorb the costs in-house, as JP Morgan Asset Management does. Amundi, BlackRock, Invesco Perpetual, Schroders and Janus Henderson have also changed their minds on this issue and are not charging clients for research. Carmignac and Deka are continuing to charge clients. Another key aspect of MiFID II is increased transparency over transaction costs. Morningstar senior fund analyst Fernando Luque has analysed the data communicated by the fund companies since the introduction of MiFID II. Morningstar has already received information for some 17,000 funds domiciled in Europe, excluding exchange-traded funds. Looking at the median transaction costs for the main asset classes, we see that equity funds have a significantly higher median transaction cost than fixed-income funds: 0.15% compared with 0.09%. There are two possible explanations: brokerage costs are higher when trading stocks than when buying and selling bonds or the portfolio turnover is higher for equity funds than for fixed-income funds. Alternative funds are the most expensive, with a median transaction cost of 0.22%. The category with the lowest transaction costs is the US Large-Cap Blend Equity. It is difficult to find a reason why categories such as Europe Large-Cap Blend Equity, with a median cost of 0.18%, or Eurozone Large-Cap Equity have median transaction costs almost twice as high as US Large-Cap Blend Equity and even higher than Japan Large-Cap Equity. It is not surprising to see Global Emerging Markets Equity funds having higher transaction costs than Developed Markets Equity funds, with a median cost of 0.21% for the Global Emerging Markets Equity category and 0.34% for the Asia ex-Japan Equity category. It is logical to expect active funds to have higher transaction costs than passive funds, excluding ETFs. The difference, in terms of transaction costs, is above 10 basis points for the main Equity Morningstar Categories and can even reach 26 basis points for the Global Emerging Market Morningstar Category. “We have always viewed price as a key component in a fund’s success or failure. The increase in fee transparency brought by MiFID II is very welcome,” Beard said. There is still a question mark over how MiFID II, which is a European Union directive, will fare after Britain leaves the EU. There is the possibility that “regulatory alignment”, where UK and EU laws run in parallel, will be used as the model for financial services. After all, financial services firms have devoted a considerable amount of time and resources in implementing the directive. 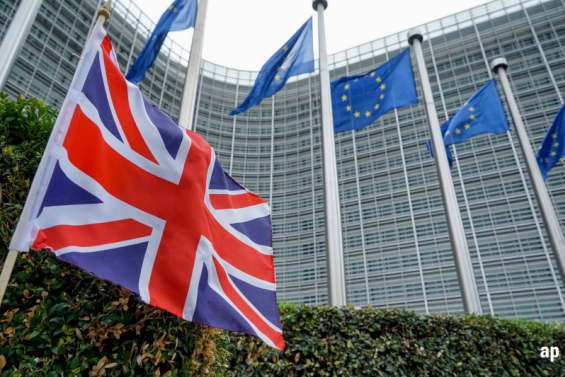 The UK’s financial regulator, the Financial Conduct Authority, says that while the terms of Brexit have yet to be decided for key sectors like finance, it’s business as usual.